Boosts hydration. For smooth, supple skin all day. Continuous release system. Skin is smooth, supple and renewed. Oil-free. 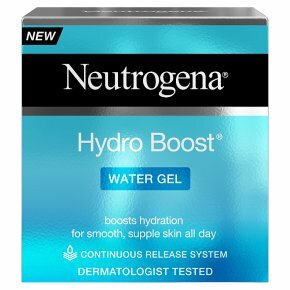 Dermatologist tested.Introducing Hydro Boost® Water Gel, a unique moisturiser with a light texture and the long lasting., intense nourishing power of a cream, that absorbs instantly and keeps skin hydrated all day. With its innovative Continuous Release System containing Hyaluronic acid, naturally found in the skin the formula helps to: Replenish the epidermis with a boost of hydration and retains water to create a reservoir. Protect the skin barrier and continuously release moisture all day.